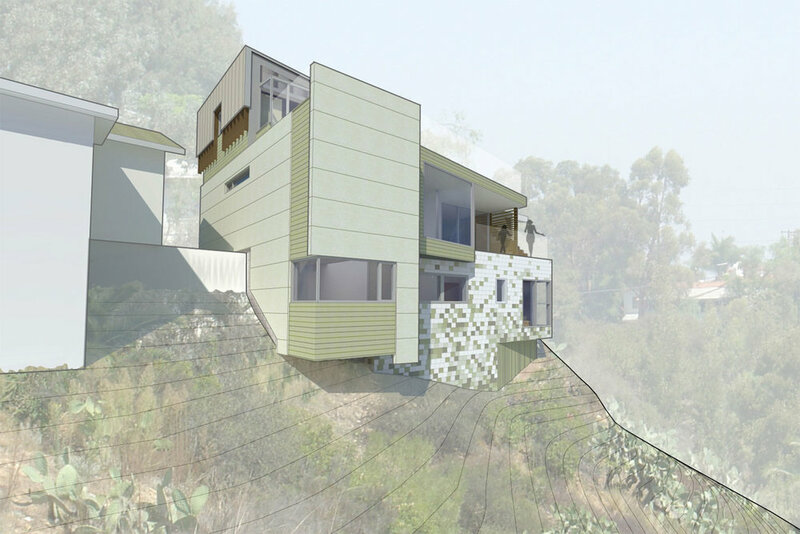 How can a home on a steep canyon hillside feel both modest and expansive at the same time? The project included the renovation and addition to a craftsman-style house in a historic working-class neighborhood perched above a dramatic canyon landscape. The addition wraps the existing house and redefines its two prominent facades. Maintaining the distinct relationship to the context of the neighborhood, the main entry reinforces the craftsman roots of the existing house. At the rear, the house opens up and projects outward towards the canyon offering unprecedented experiences of the dynamic landscape and views of downtown San Diego. Fiber cement siding clads the home in unique patterns inspired by the canyon landscape.